An ever-increasing number of environmental influences are hindering optimum cell function in the human body. 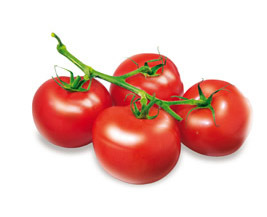 The red dye lycopene in tomatoes supports cell function, by aligning free-radicals (chemically aggressive substances), that contribute to the development of degenerative diseases. Tomato juice is also low-calorie and contains large amounts of natural vitamin C. Lycopene is a phyto-nutrient that is well-known for prostatic health.